The cuteness is a just a bit overwhelming! 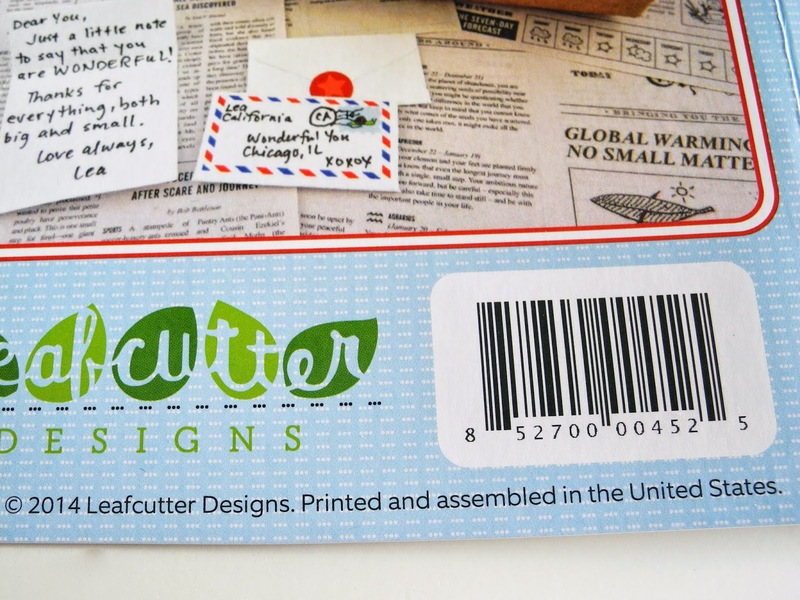 My Leafcutter Designs Kickstarter reward arrived today. As soon as I saw the return address I dropped everything else and took the package to my table. Everything is mini and adorable! Please see micron pen for size reference. 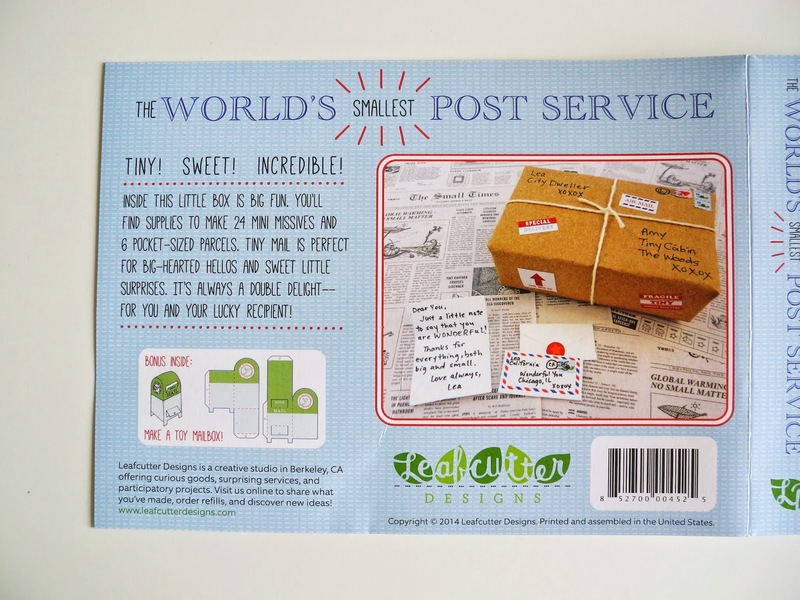 And yes, those are tiny air mail rubber stamps!! Here's what it looked like before I took it apart. 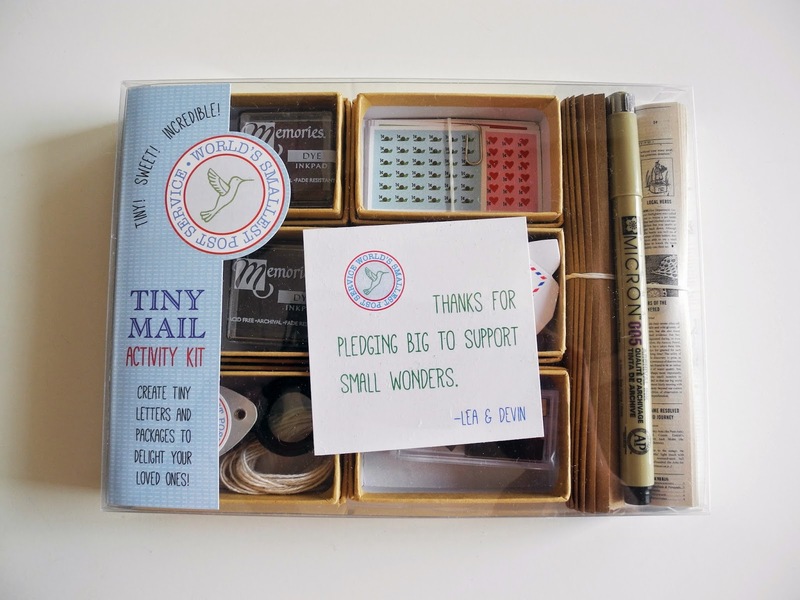 As it says on the back, this kit has everything you need to make 24 mini missives and 6 pocket sized parcels, plus a mini mail box. I got the deluxe kit so it even came with tiny lined paper. I love the amount of tiny detail that went into this kit. It is so well thought out and executed. 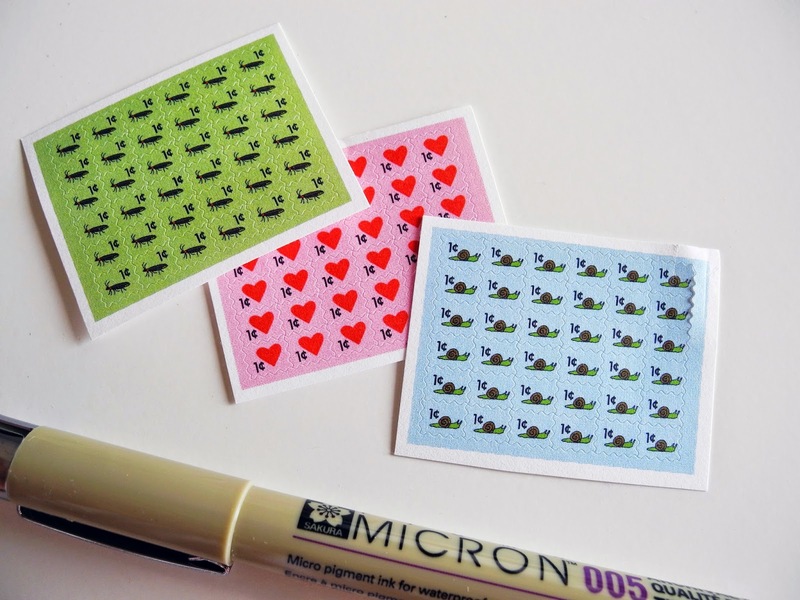 My favorite part of the deluxe kit has to be these miniature rubber stamps. 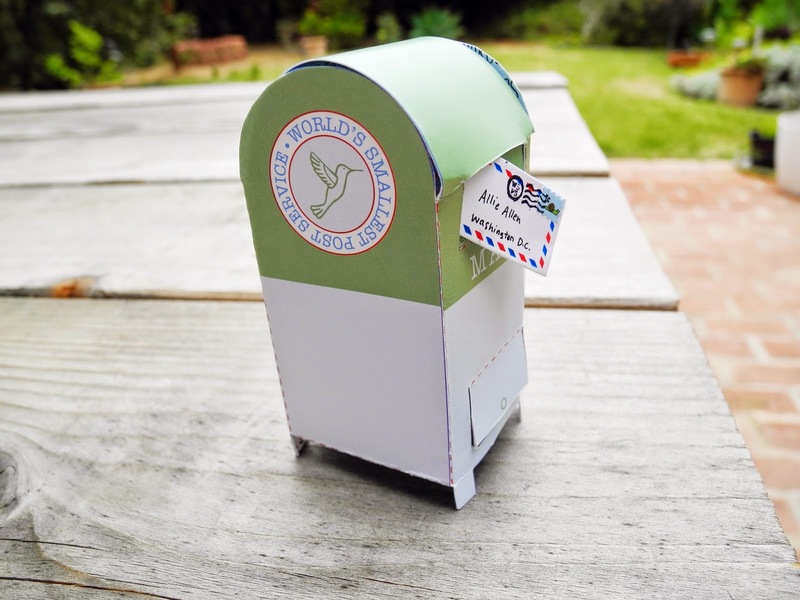 I had to make this mini mail box right away. Delightful!! I'm so pleased with the kit. I will be sure to share when I make tiny packages. 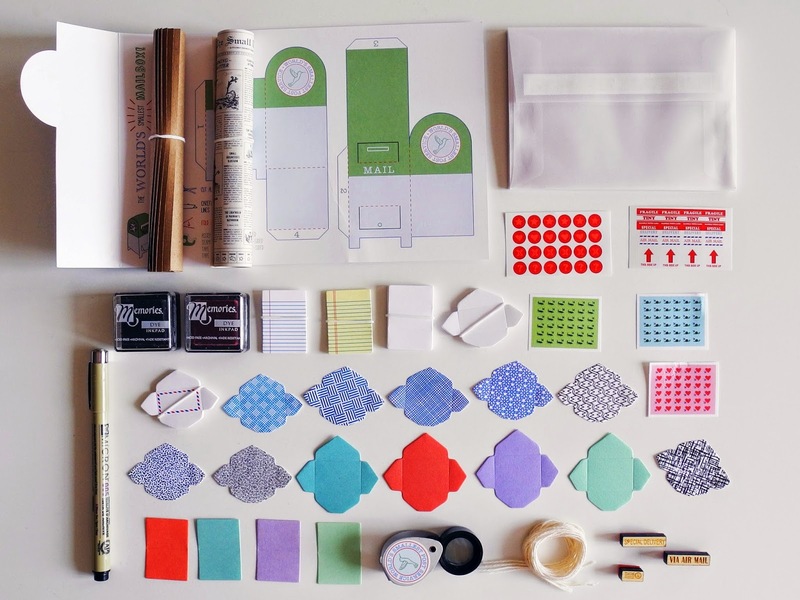 If you'd like a kit yourself, you can find them here. Last Fall, we went to DC. 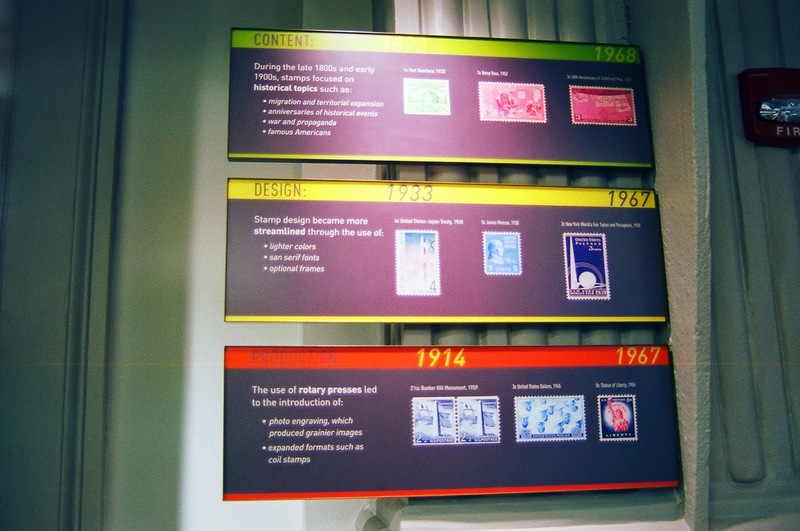 The National Postal Museum was at the top of my places to see, especially since they had that postage stamp exhibit. The building that houses the museum is grand. It's exactly what you hope it would look like. I loved everything about the lobby, except that I had to put my camera and film through xray. That explains why these pictures came out like this. I'm disappointed, but let's make the best of it. 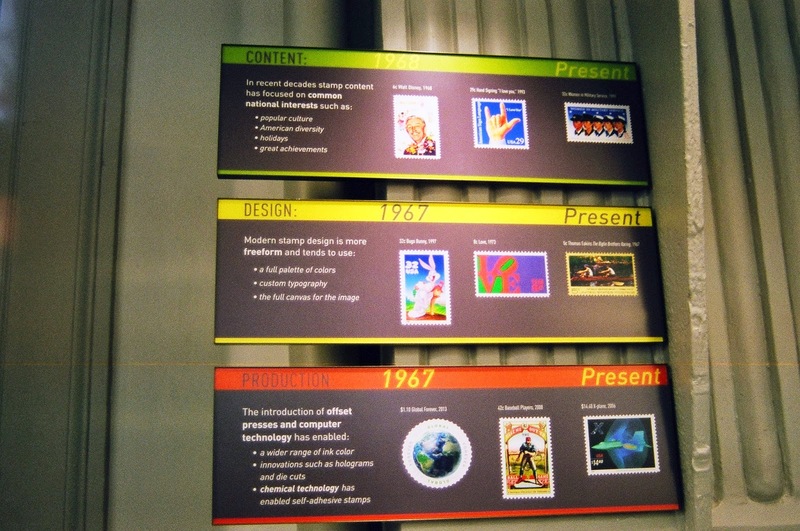 It still gives you a good idea of the exhibit. "The stamp makes its debut. On May 1, 1840, Great Britain issues the world's first postage stamp: the Penny Black. 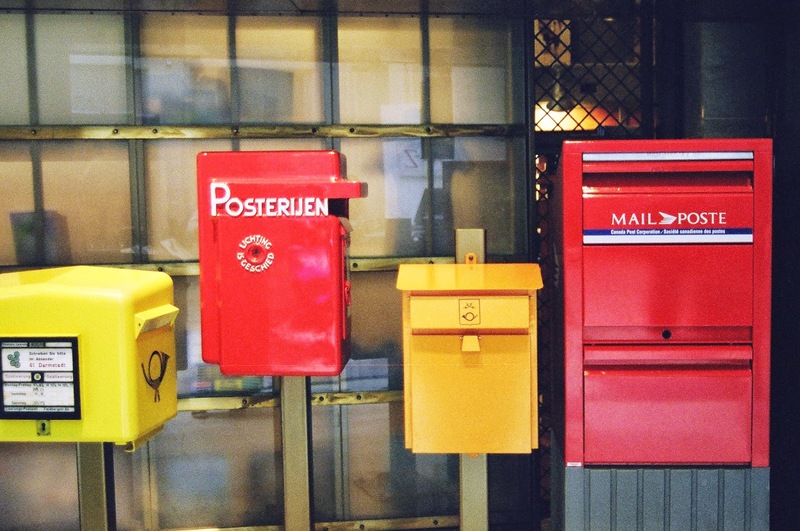 It revolutionized postal services worldwide. 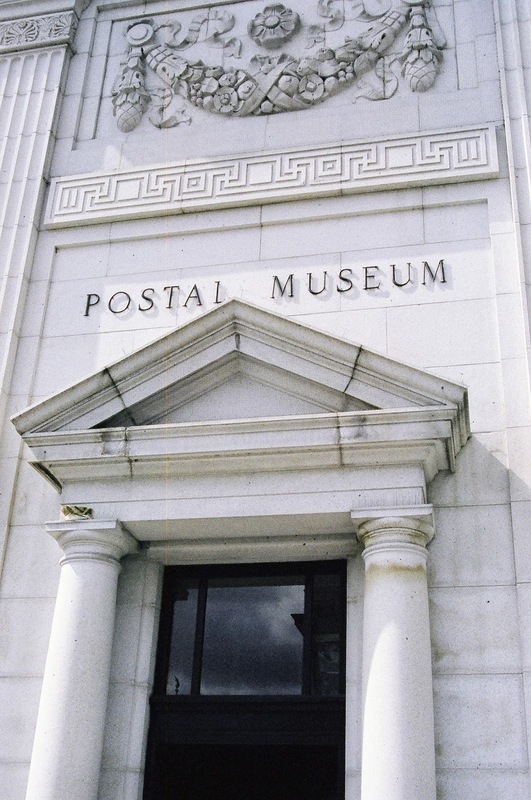 Before postage stamps, mail recipients usually paid the postal fees. Sometimes they refused to pay. Fees often varied according to distance within a single country. 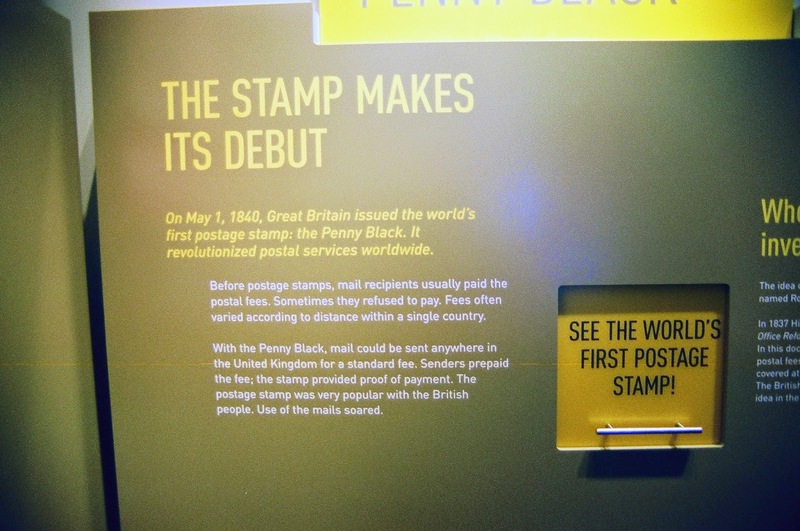 With the Penny Black, mail could be sent anywhere in the United Kingdom for a standard fee. Senders prepaid the fee; the stamp provided proof of payment. 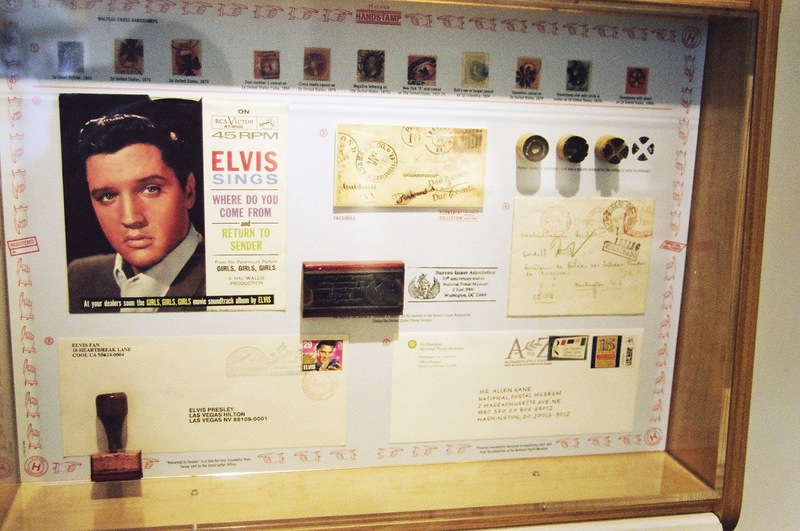 The postage stamp was very popular with the British people. Use of the mails soared." 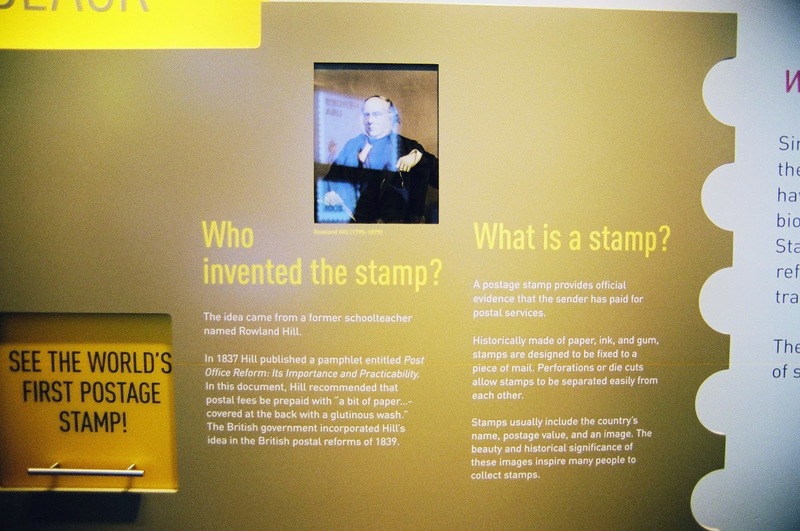 "Who invented the stamp? 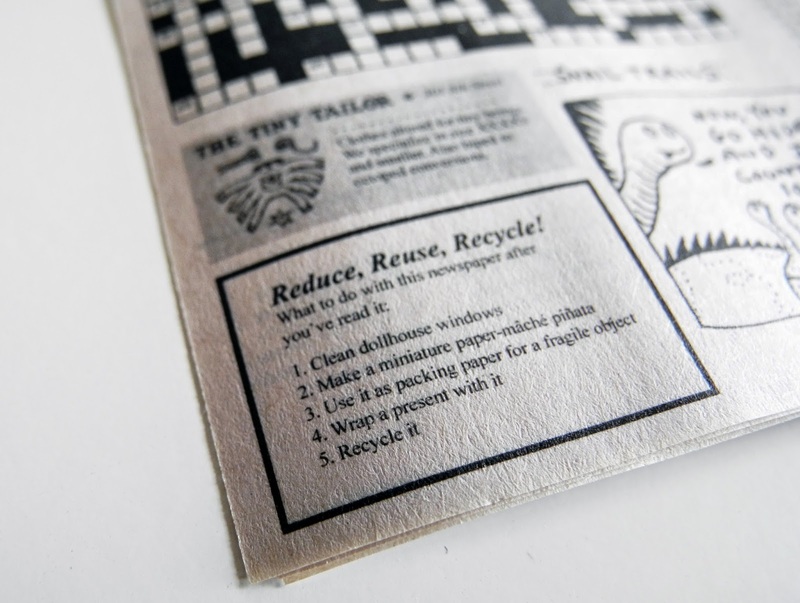 The idea came from a former schoolteacher named Rowland Hill. In 1837 Hill published a pamphlet entitled Post Office Reform: Its Importance and Practicability. In this document, Hill recommended that postal fees be prepaid with a bit of paper= covered at the back with a glutinous wash. The British government incorporated Hills idea in the British postal reforms of 1839. What is a stamp? A postage stamp provides official evidence that the sender has paid for postal services. 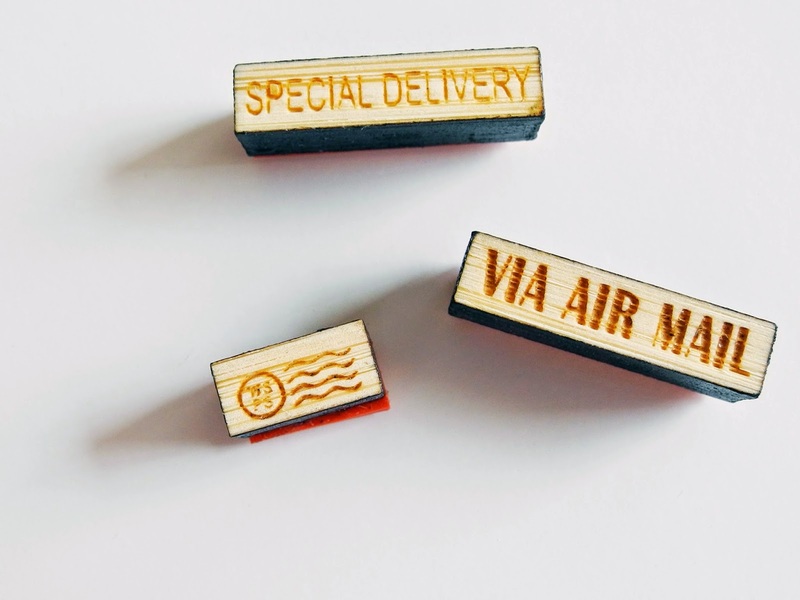 Historically made of paper, ink, and gum, stamps are designed to be fixed a piece of mail. 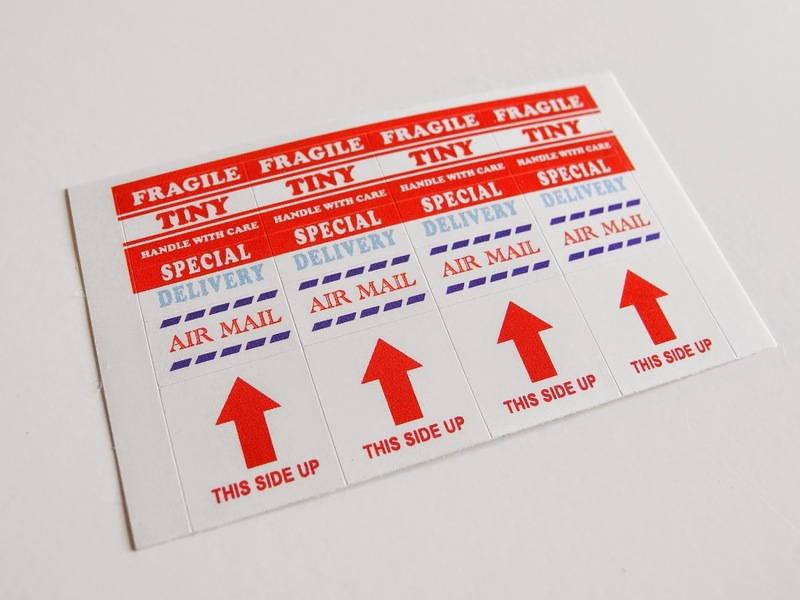 Perforations or die cuts allow stamps to be separated easily from each other. 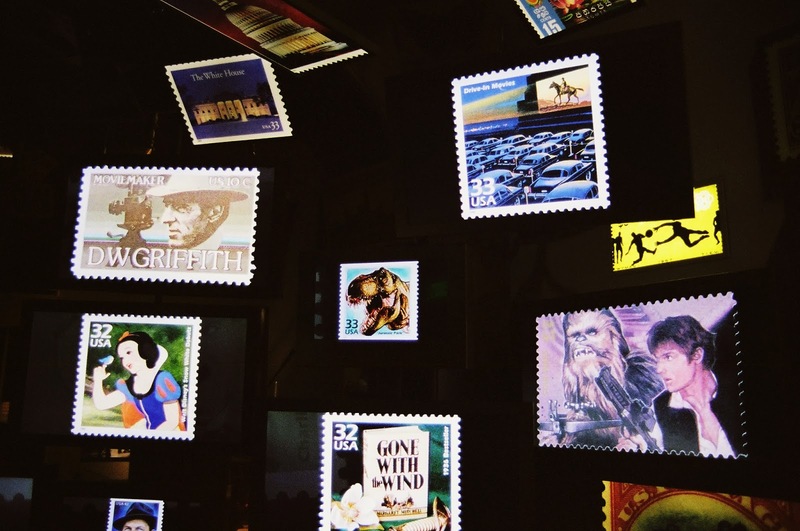 Stamps usually include the country's name, postal value, and an image. 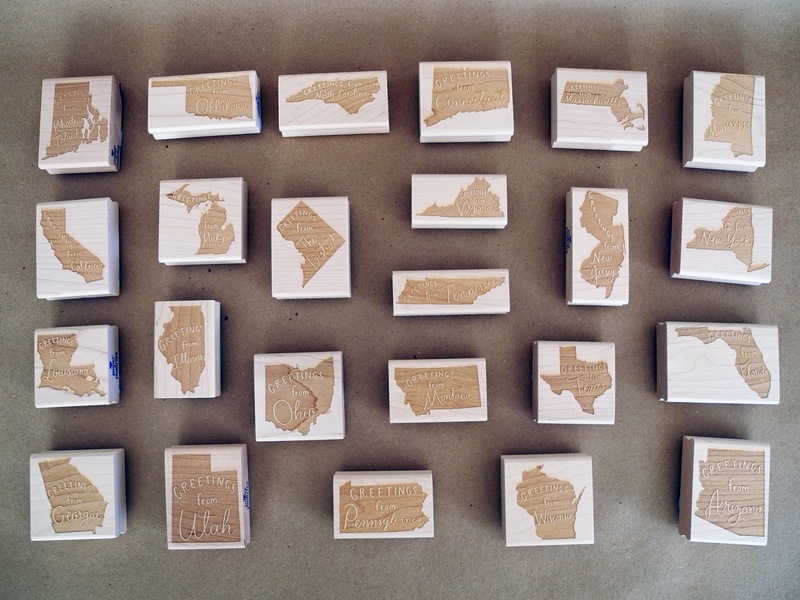 The beauty and historical significance of these images inspire many people to collect stamps. By the 1850s adhesive postage stamps were available and people no longer needed to go to the post office to mail letters they could keep stamps at home and mail letters at their leisure. 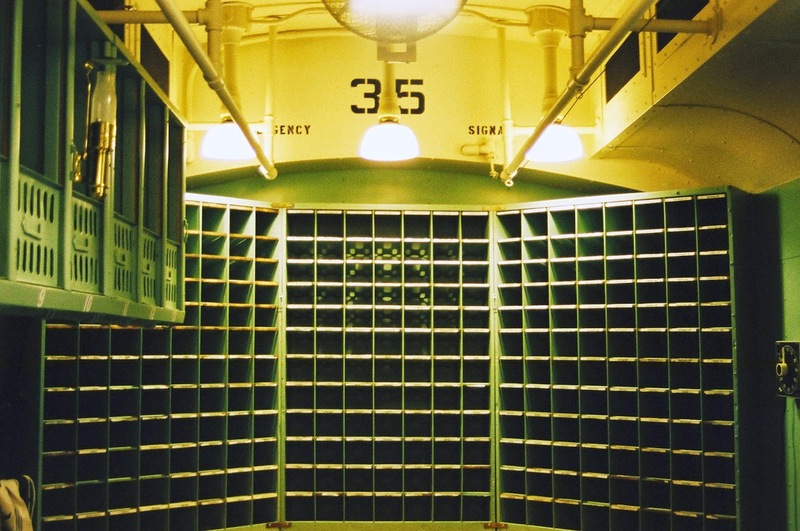 So the post office department began to build and install mailboxes throughout US cities." 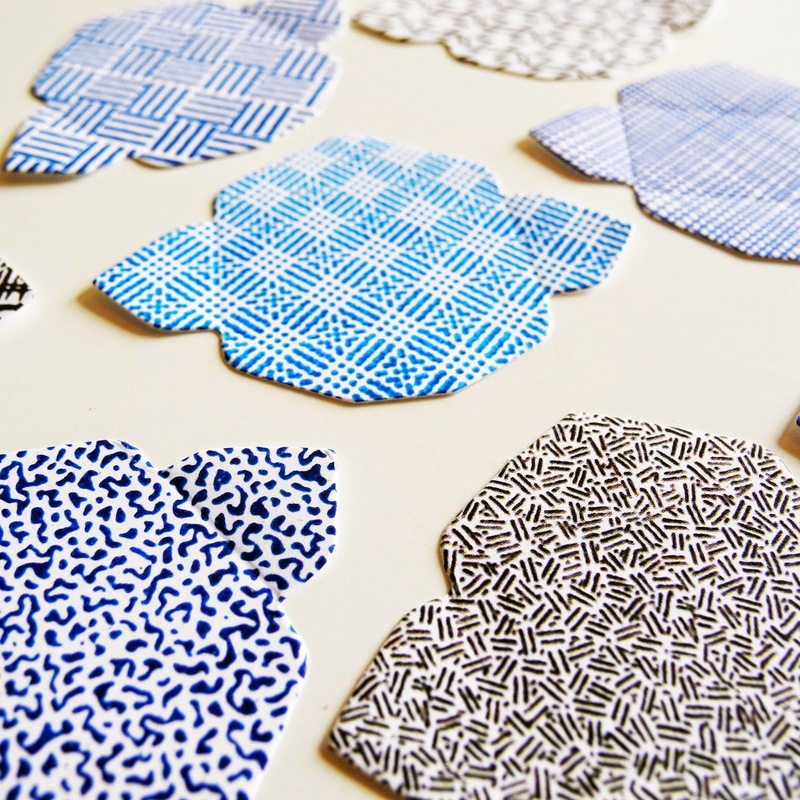 expanded formats such as coil stamps"
chemical technology have enabled self-adhesive stamps." 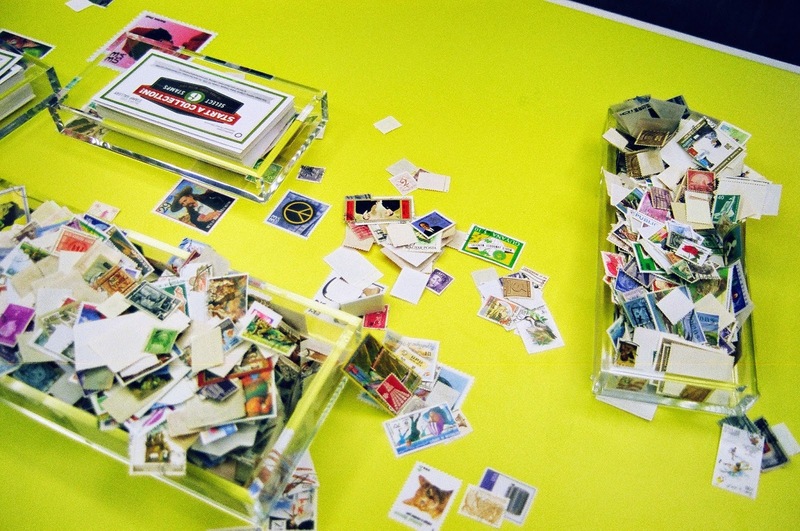 They had a table of vintage postage there, and visitors were encouraged to take a few to start their collection. 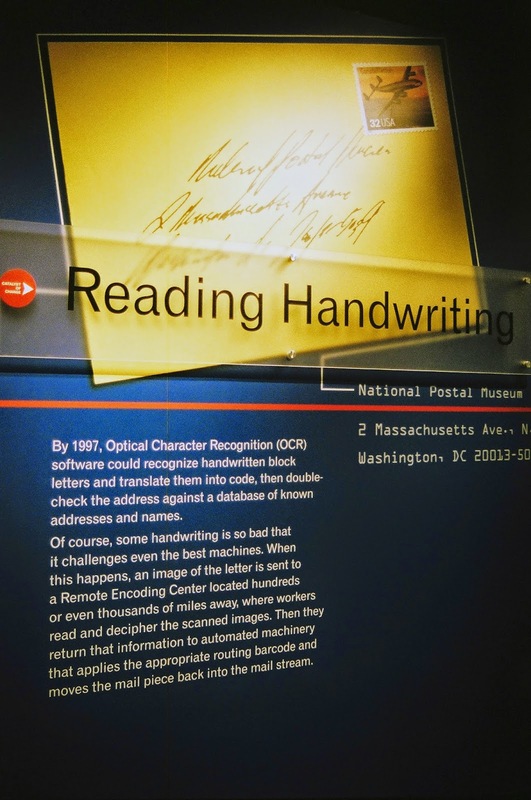 "By 1997 optical character recognition OCR software could recognize handwritten block letters and translate them into code and double check the address against the database of known addresses and names. Of course, some handwriting is so bad that it challenges even the best machines. When this happens, an image of the letter is sent to a remote encoding center located hundreds or even thousands of miles away, where workers read and decipher the scanned images. Then they return that information to automatic machinery that applies the appropriate routing barcode and moves the mail piece back into the mail stream." This collection of old mail boxes was so cool. That classic olive green "LETTERS" is my favorite. They even had some from other countries. 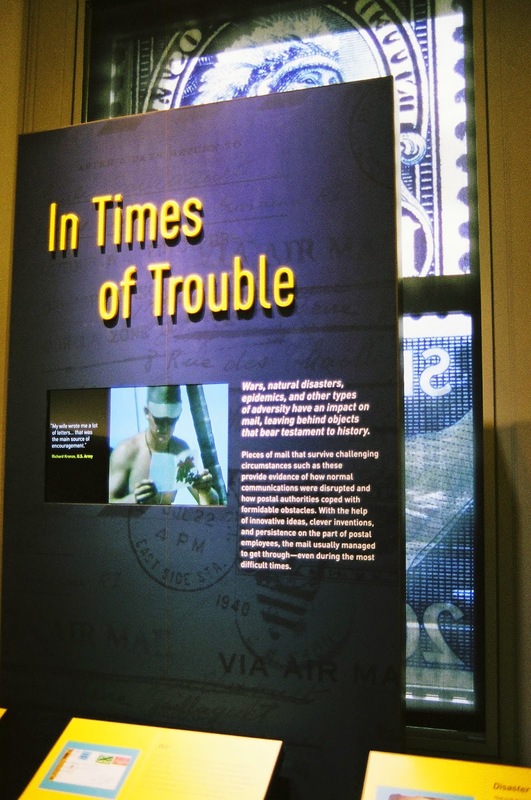 War, natural disasters, epidemics, and other types of adversity have an impact on mail, leaving behind objects that bear testament to history. Pieces of mail that survived challenging circumstances such as these provide evidence of how normal communications were disrupted and how postal authorities coped with formidable obstacles. 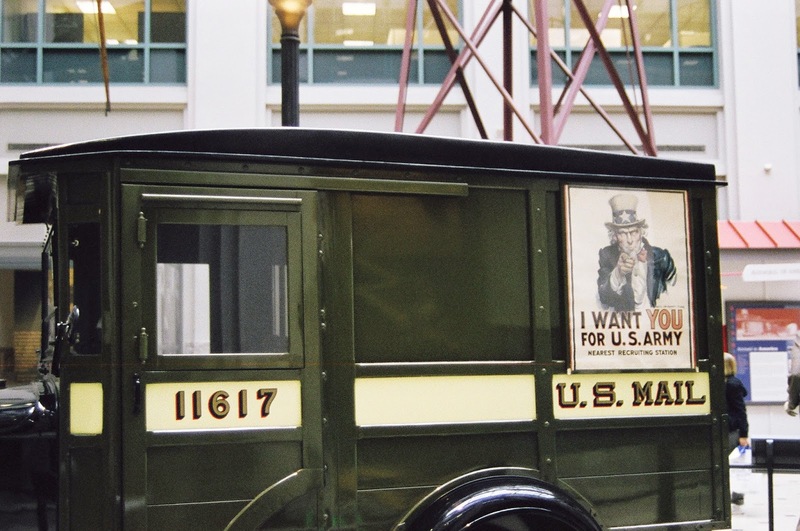 With the help of innovative ideas, clever inventions, and persistence on the part of the postal employees, the mail usually manage to get through even during the most difficult times." 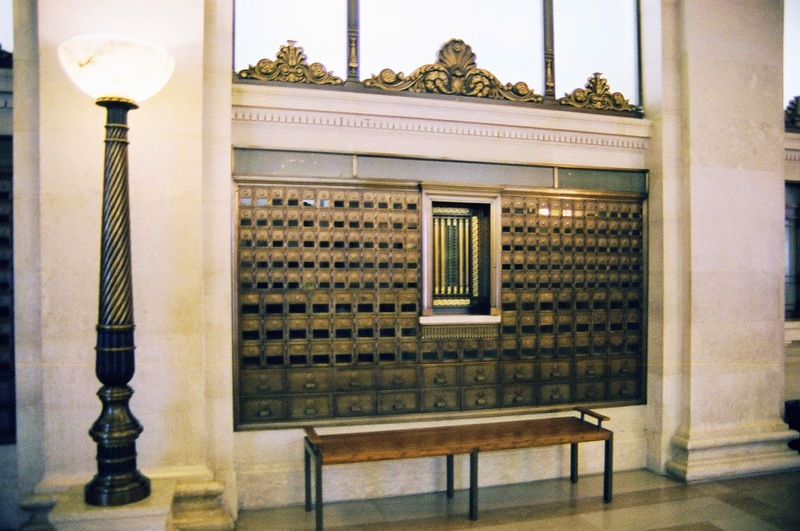 They had a mailbox there that was across from the twin towers, and mail from the Titantic and Hindenburg. The United States post office department created the nations commercial aviation industry. 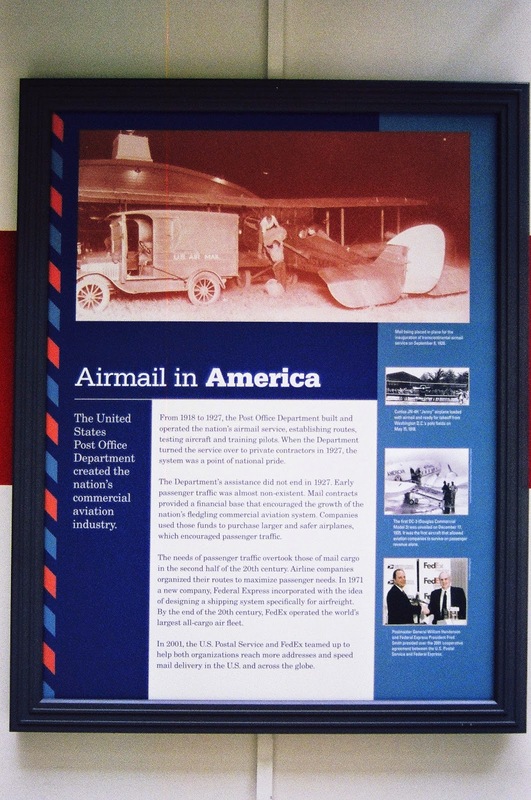 From 1918 to 1927, the post office department built and operated the nations airmail service, establishing roots, testing aircraft and training pilots. When the department turned the service over to private contractors in 1927, the system with a point of national pride. The department's assistance did not end in 1927. Early passenger traffic was almost nonexistent. Mail contacts provided a financial base that encouraged the growth of the nation's fledging commercial aviation system. Companies used those funds to purchase larger and safer airplanes, which encouraged passenger traffic. The needs of passenger traffic overtook those of mail cargo in the second half of the 20th century. Air line companies organized the routes to maximize passenger needs. In 1971 a new company, federal express incorporated with the idea of designing a shipping system specifically for airfreight. By the end of the 20th century FedEx operated the world's largest all cargo air fleet. In 2001, the US Postal Service and FedEx teamed up to help both organizations reach more addresses and speed mail delivery in the US and across the globe." "In 1918 the post office department requested hundreds de Havilland planes from the Army. These airplanes were not designed for the demand of airmail service. It's greatest flaw was the placement of the cockpit. Minor accidents turned deadly when pilots were trapped between the engine and fuel compartment. In January 1919 the planes underwent extensive renovation, and the cockpit was moved to the rear. The fabric fuselage was replaced with plywood sheets and the landing gear was fitted with a heavy axle and larger wheels. 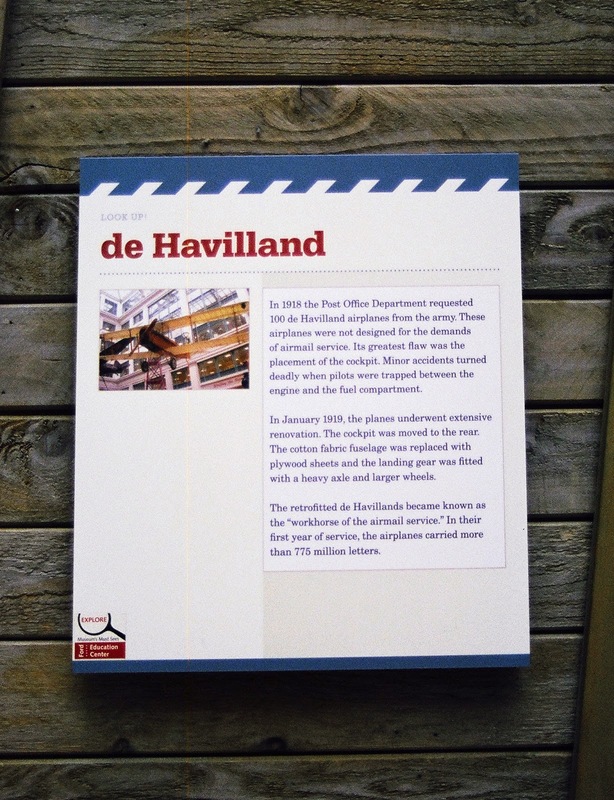 The retrofitted to Havillands became known as the workforce of the airmail service. 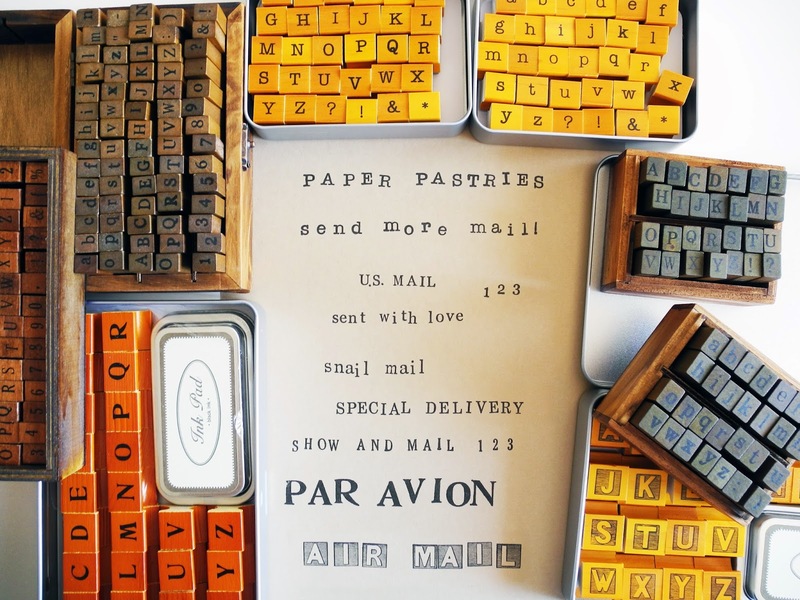 In their first year service airplane carried more than 775 million letters." 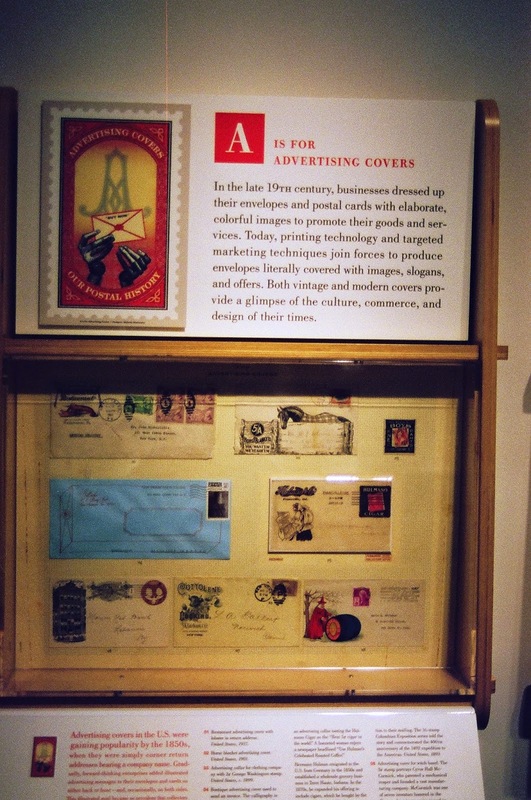 In the late 19th century, businesses dressed up their envelopes and postal cards with elaborate colorful images to promote their goods and services. 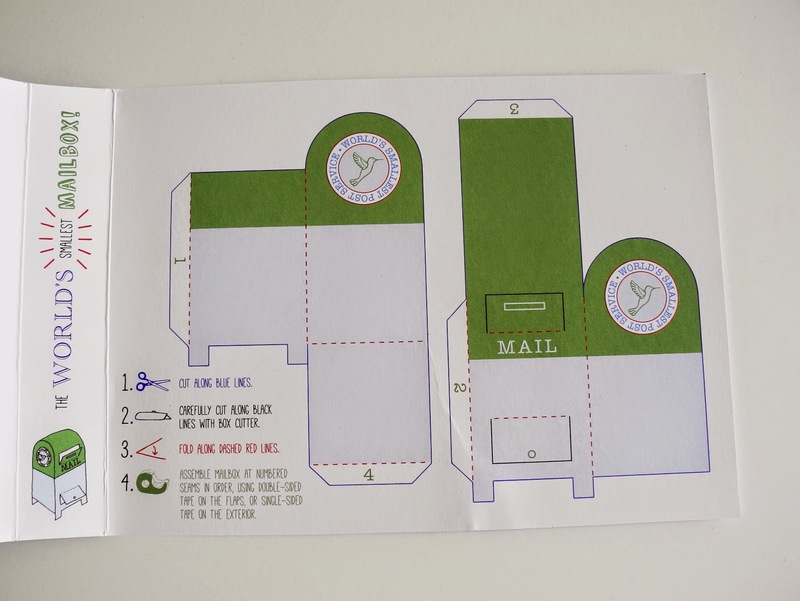 Today, printing technology and targeted marketing techniques join forces to produce envelopes literally covered with images, slogans, and offers. Both vintage and modern covers provide a glimpse of the culture commerce and design of their times." 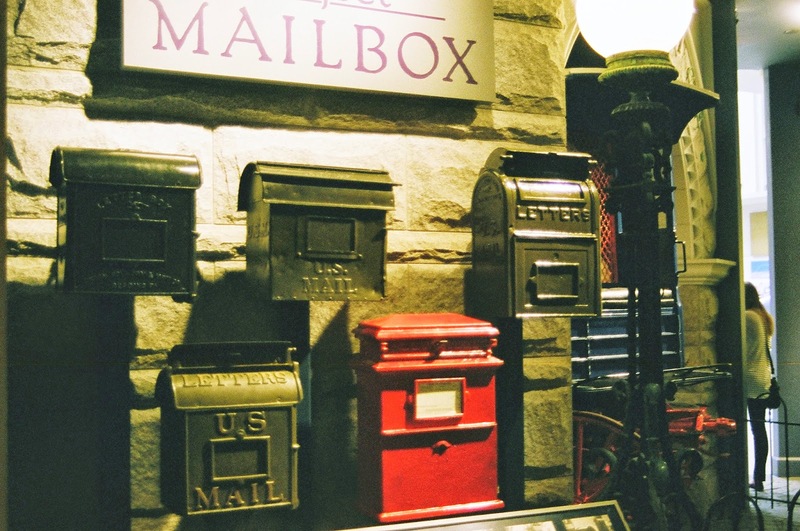 After World War II, mail volume grew every year- it doubled between 1946 in 1966. Dependent on federal subsidies, the post office couldn't buy enough machines or hire enough employees to keep up. In October 1966 a flood of holiday advertisements and election mailings choked the system. 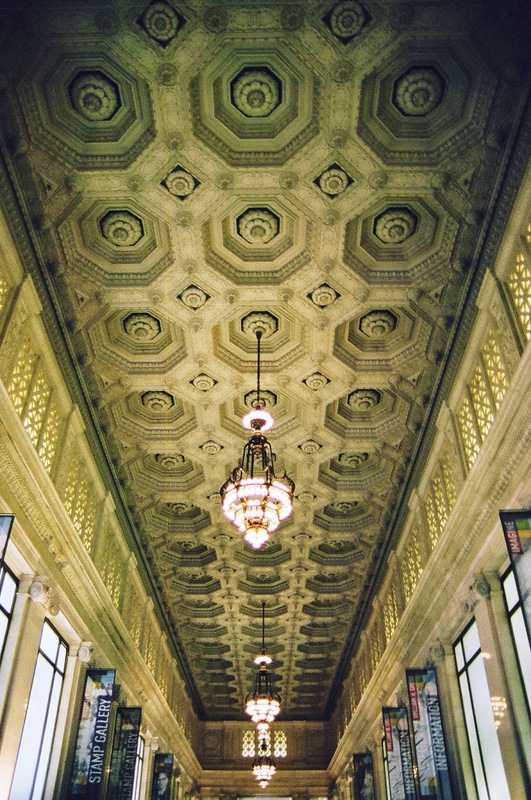 The Chicago post office, the world's largest postal facility at the time was overwhelmed by mail. It stopped delivering mail for three weeks. Mail overflowed surrounding post offices. The mail backup was felt across the country. Change was essential. By the early 1960s the swelling volume of mail was texting the post office department to it's limits. Zoning improvement plan - ZIP codes- were one response to this growing mountain of mail. Using numbers to stand for regions, cities, post offices, or even city neighborhoods made it easier to sort mail by- machine or hand. 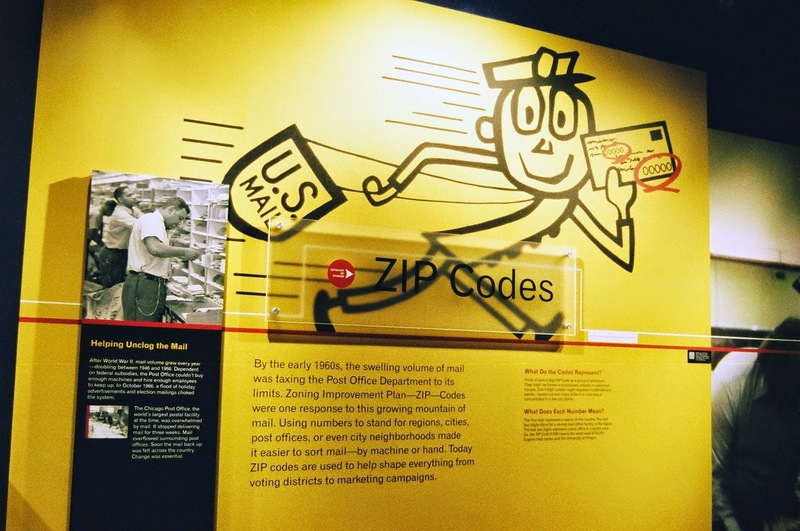 Today ZIP Code are used to help shape everything from voting district to marketing campaigns." 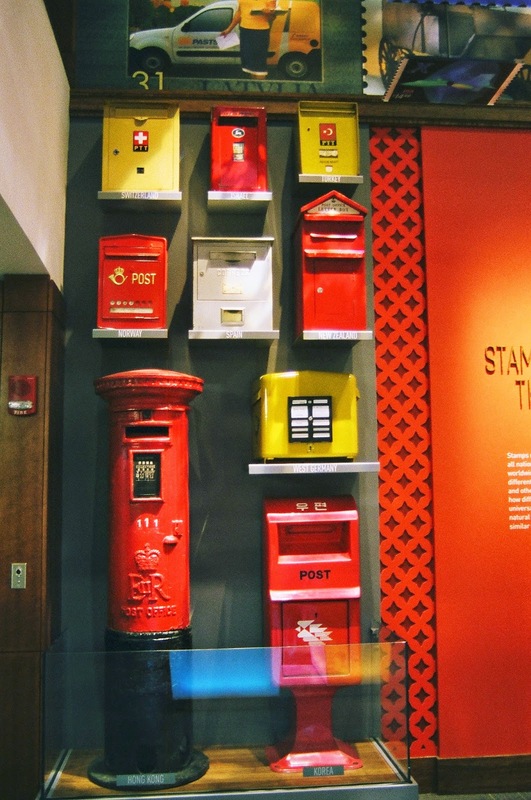 It's a really great museum and if you're at all interested in mail, I highly recommend checking it out next time you're in DC. 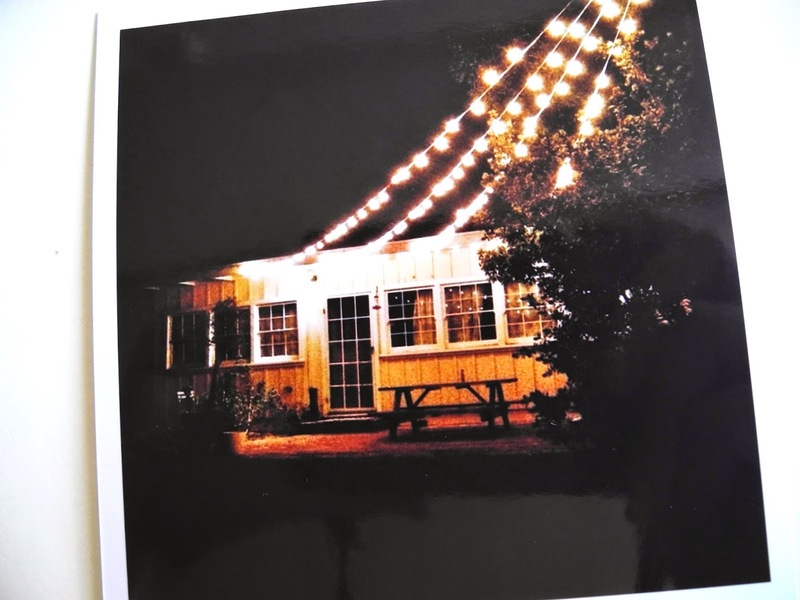 All photos by Margaret Haas, 35 mm film. The problem with taking tons of pictures with your phone is that you never get to see or share them. 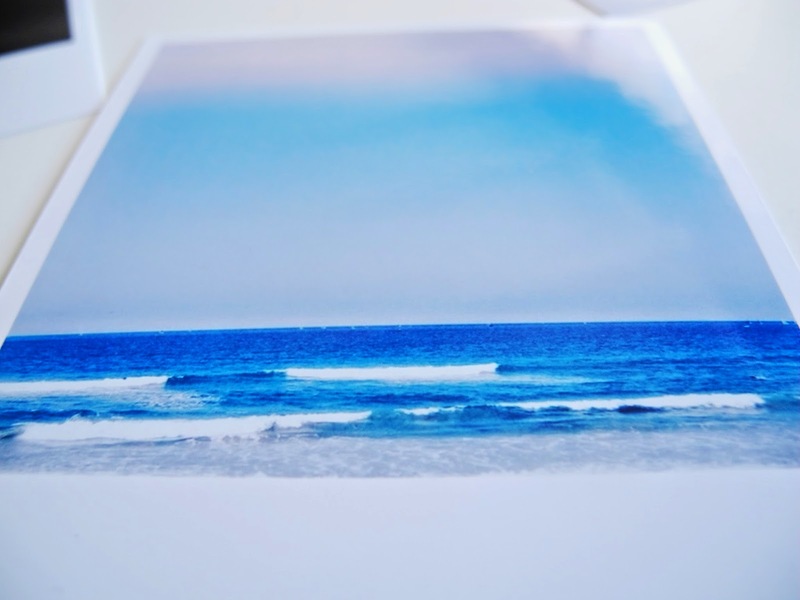 That's why I was very interesting in trying out the printing service from Printic. They said that all I had to do was download the app, choose 8 photos and enter my code and address. The app is free, ordering was painless, and I did this all from my phone. I was happy with the whole ordering process but was curious to see how the prints would turn out. The most important aspect of photos to me is the color. 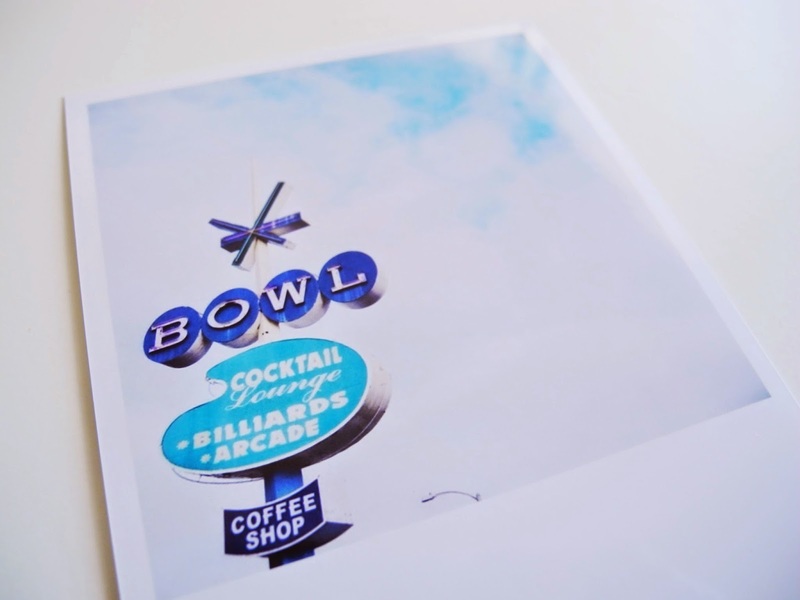 I've definitely gotten prints made where the color is so off it looks like a completely different picture. They got the colors perfectly. Even skin tone, which is hard to do. Because the colors are so accurate it's hard for me to find something I don't like about them. 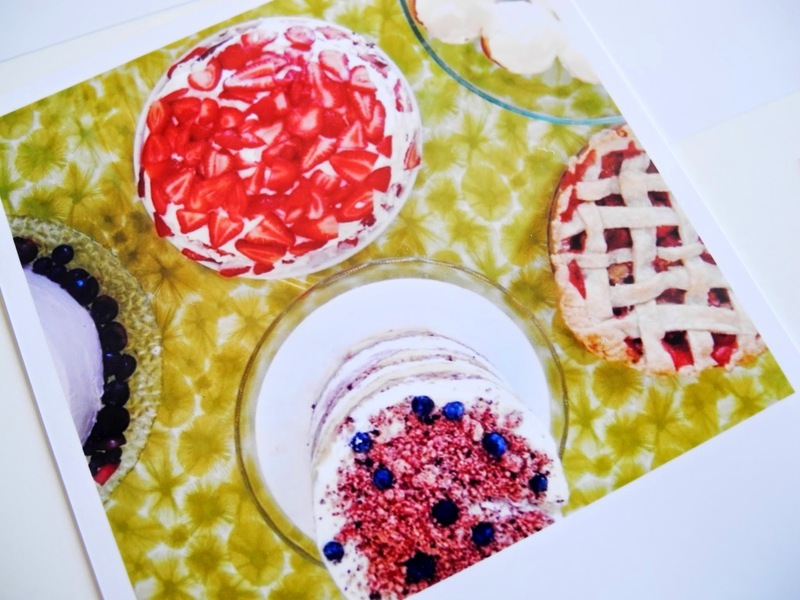 Since instagram photos are cropped in a square, I was expecting them to be square prints. 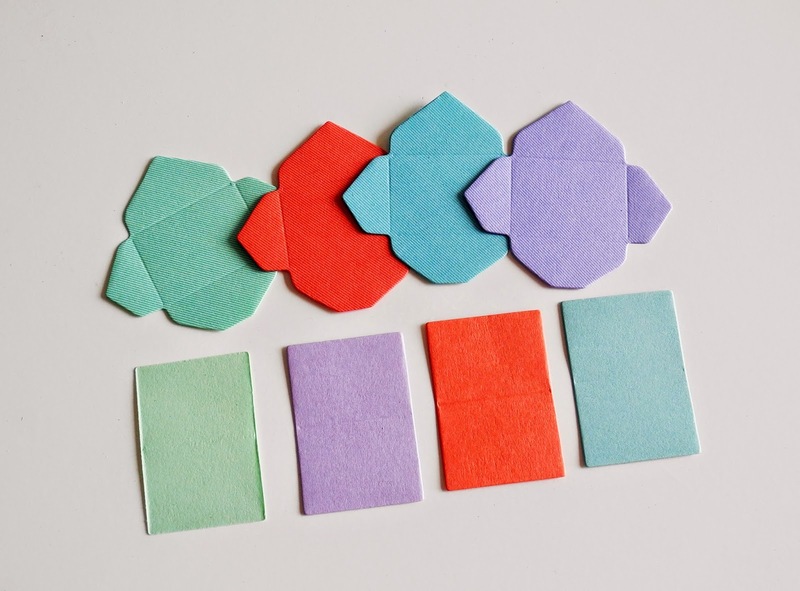 They were polaroid shaped. I like having the option to have it look like a polaroid, or just to trim it down to a square. I edit all of my iphone photos with the afterlight app. I am still surprised they were able to print these so accurately color matched to the original. I looked at the print and the original. I couldn't tell them apart. 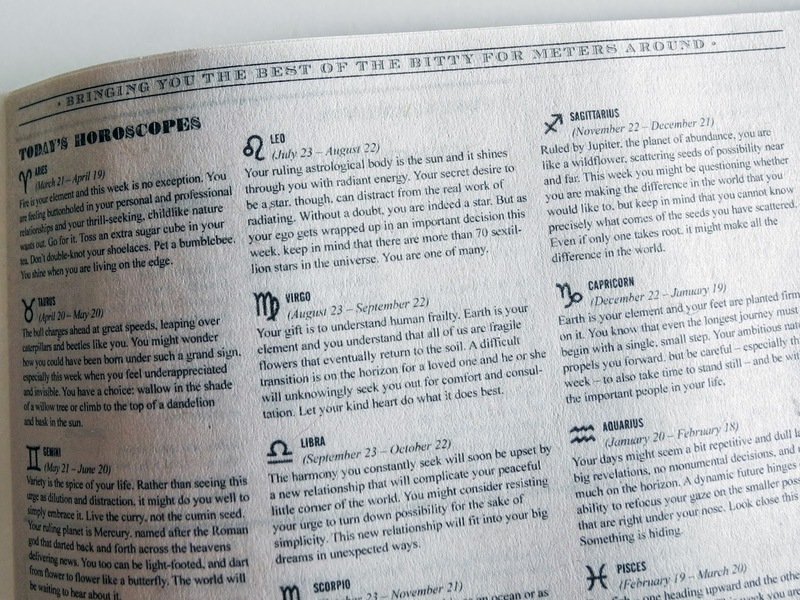 The paper feels like standard glossy photo paper. I tend to only order matte prints, but these glossy photos aren't bad. Maybe I just haven't gotten glossy in so long, they have changed. They don't leave fingerprints on the surface like they used to. 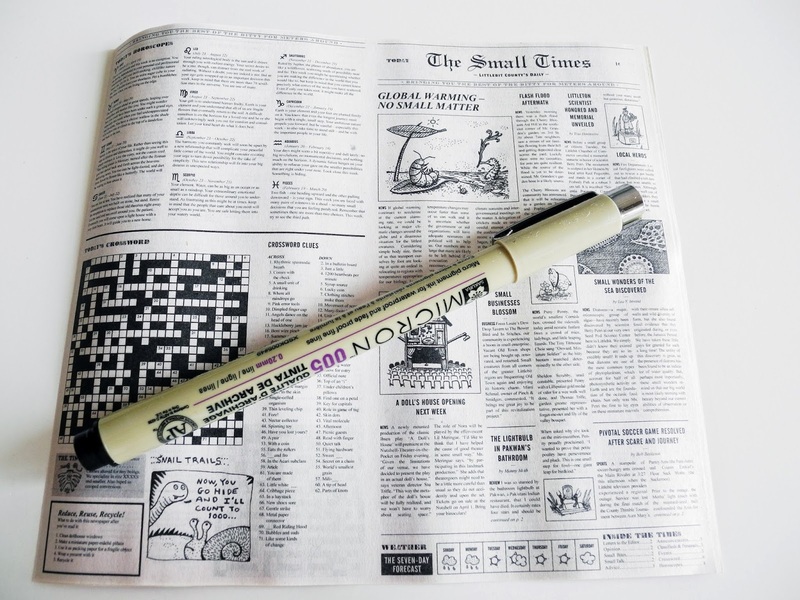 The paper is on the thinner side. When I first felt them, I thought "These are a bit thin." Not flimsy at all, just thin. But then I thought "So what? Why do I want heavier photos?" There's no point to that. 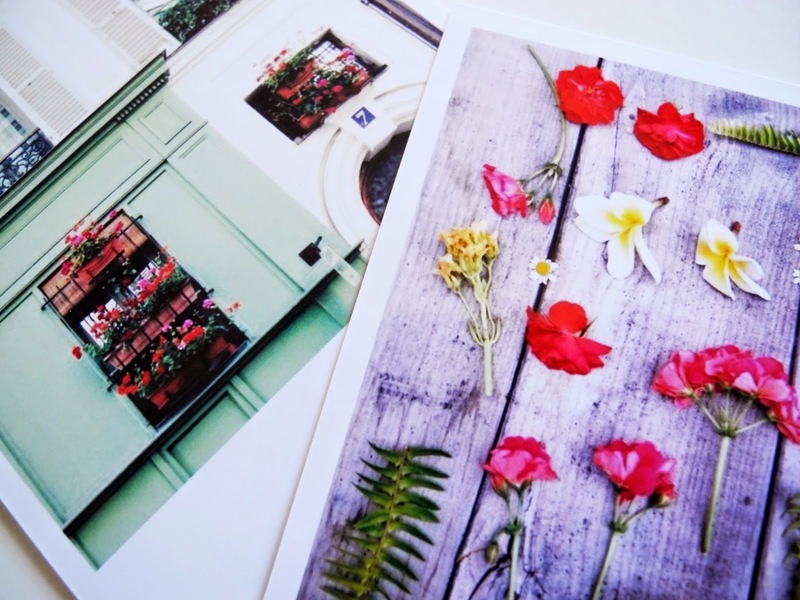 I will definitely use Printic again to order instagram photos. If you'd like to try Printic, you can enter my referral code 8CE2FE. After your first order is placed, we will both get $7 vouchers. Thank you Printic for letting my review your service! 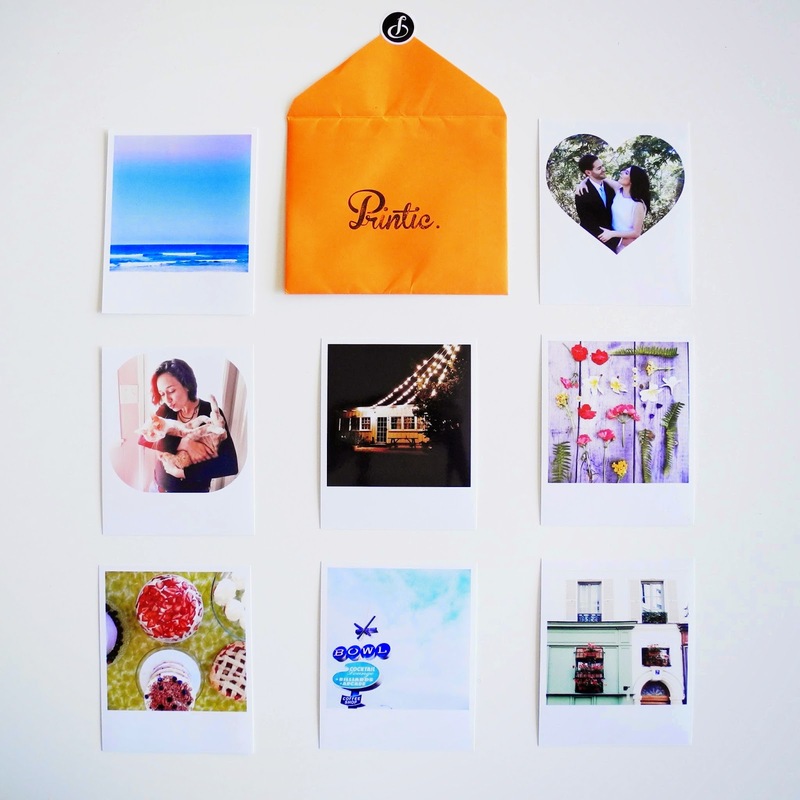 Marine (@rainorshineblog) is giving away one of her awesome photo zipper pouches. 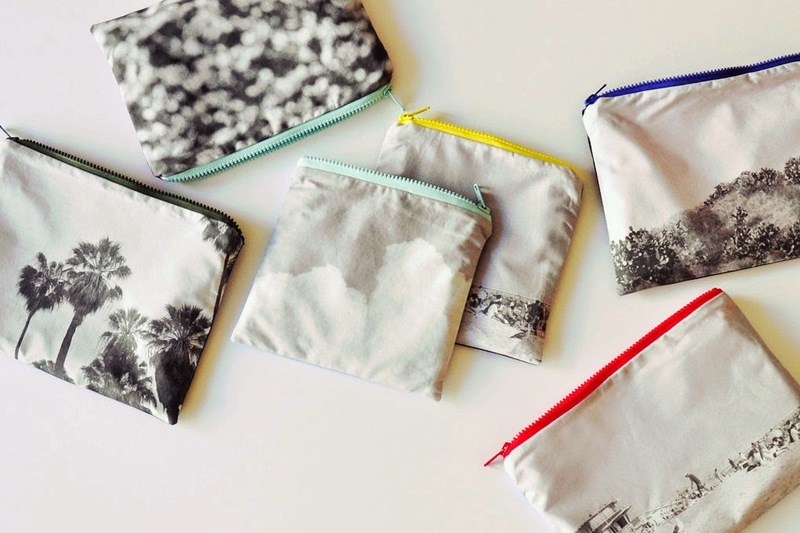 The zipper pouch is made from an original photograph printed onto fabric- how cool is that? The contest is on instagram. To enter, all you have to do is share a picture of something at home that reminds you of the holidays. For me, it's my cameras. I love traveling and taking pictures, so whenever I see my cameras, I think about the next place I'm going to go. I have a max of 300 products in my shop and I've reached that limit! I can't believe it. I remember when this little shop had 14 cards, 6 stationery sets and offered one return address stamps. How times have changed. To free up some space, I am consolidating inventory. 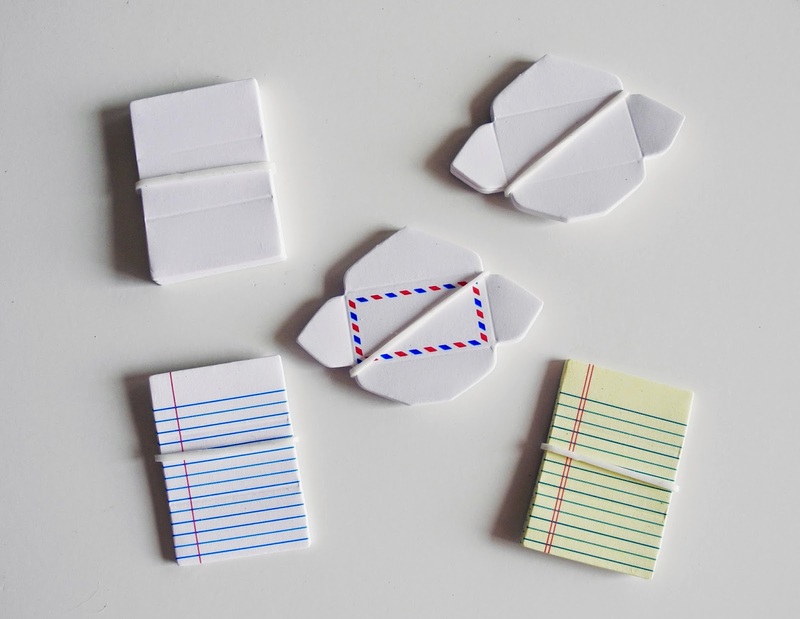 Now you can find the Paper Pastries Mail stamps in one place. Same goes for the please deliver to options. 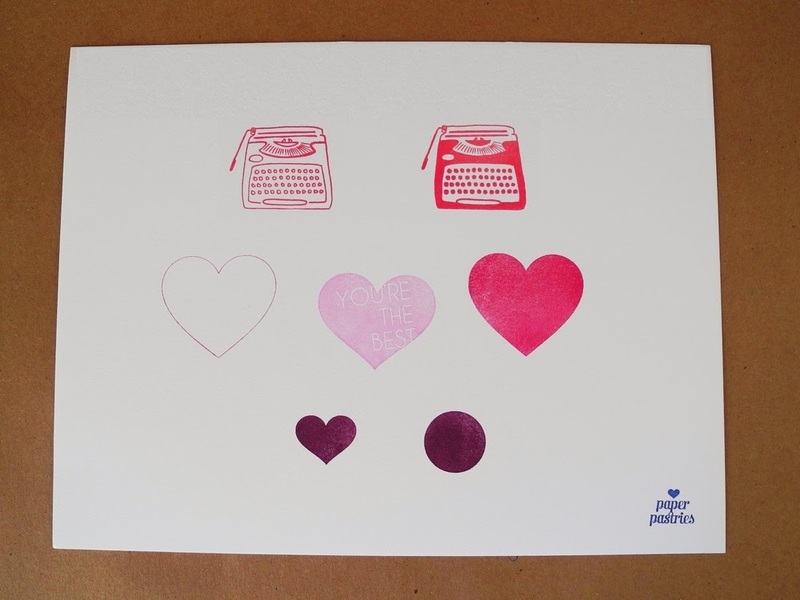 And our signature rubber stamps. 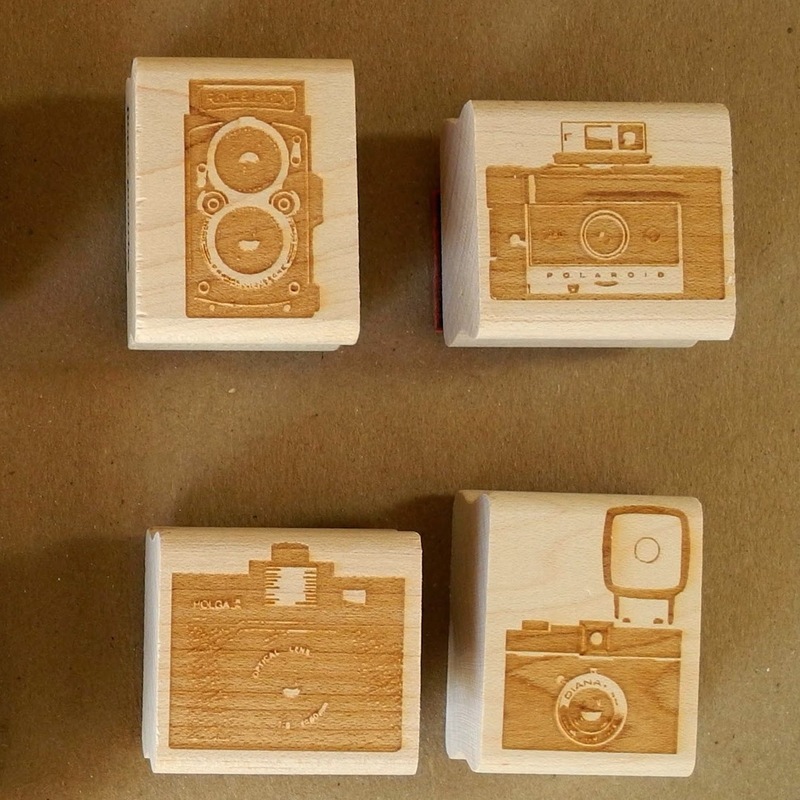 The camera stamps are back in stock, and they are also available wholesale to shops. 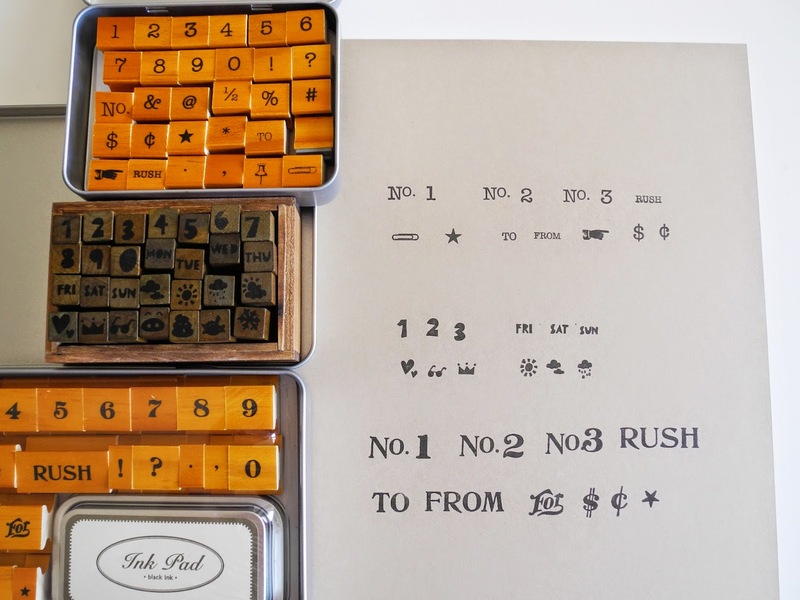 I think the best change is now you can find all the alphabet stamps in one place, plus see examples of each in use. It was time consuming but I think totally worth it. 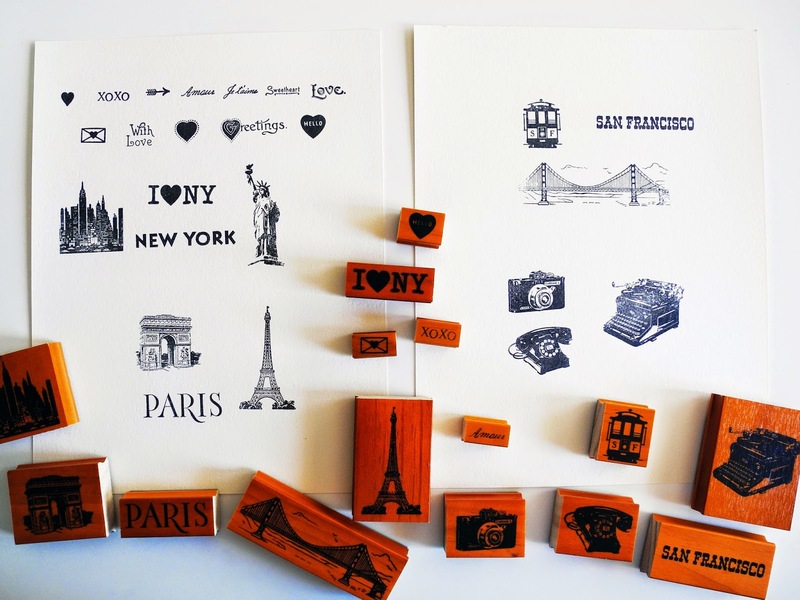 Find our favorite alphabet stamps here. 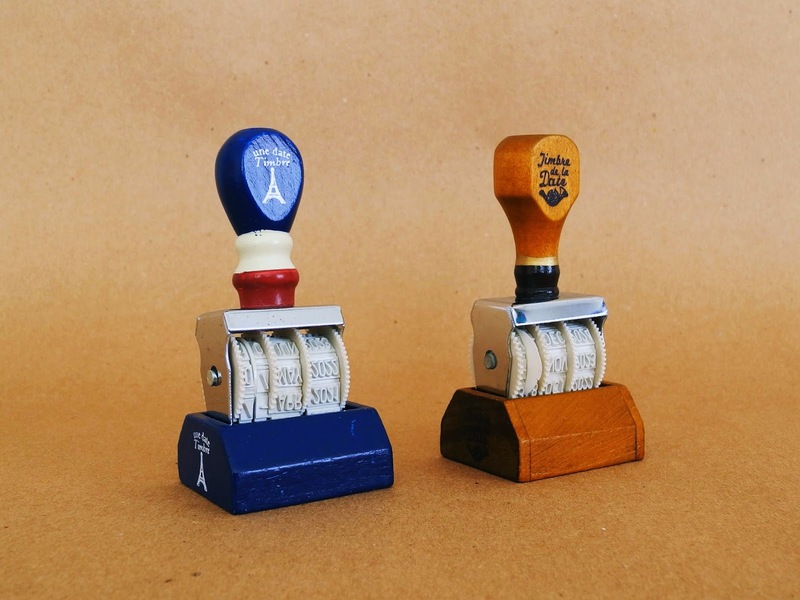 Same goes for our number and symbol stamps. 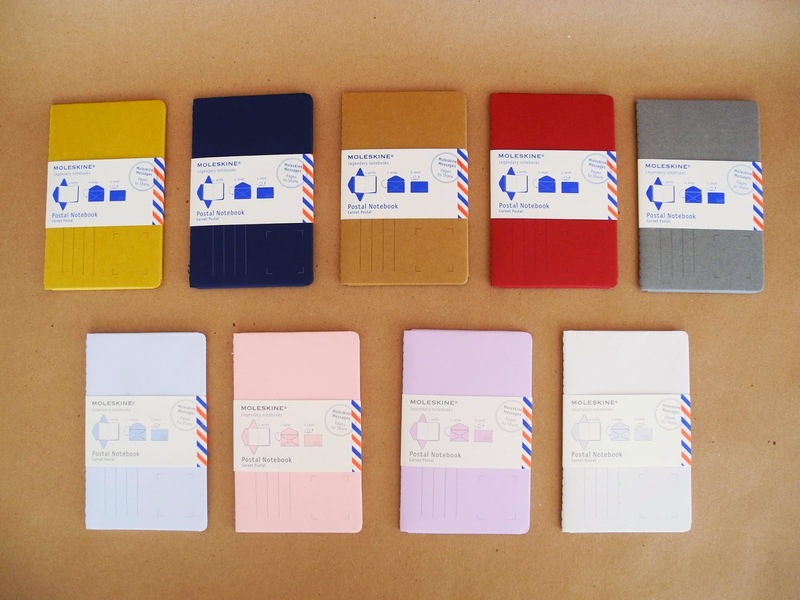 Moleskine has added more colors for their postal notebooks and I can't pick a favorite! I use a different one for every mood I'm in and they are so fun to decorate. These small rubber stamp tins from Cavallini make great affordable gifts! We just added some more new styles. 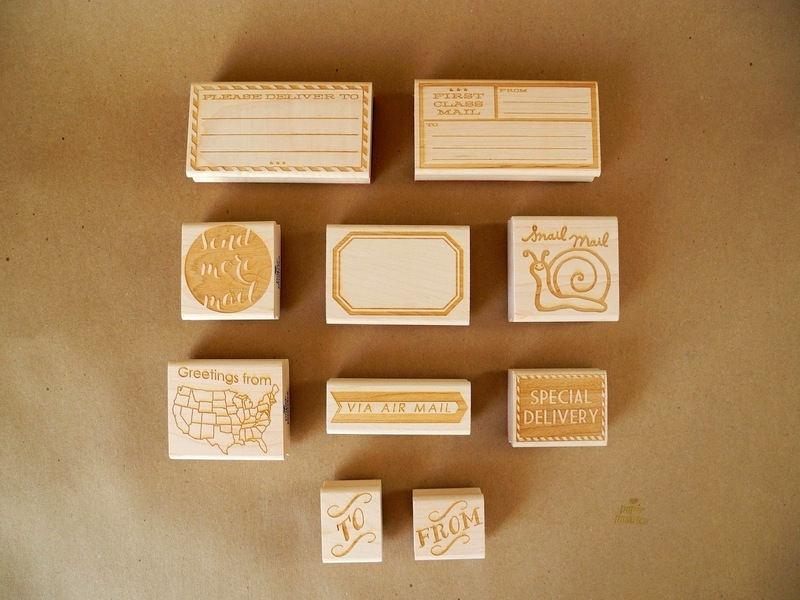 Rolling date stamps- been using these to date invoices and letters. Practical and cute! No surprise we're nuts for cats over here. 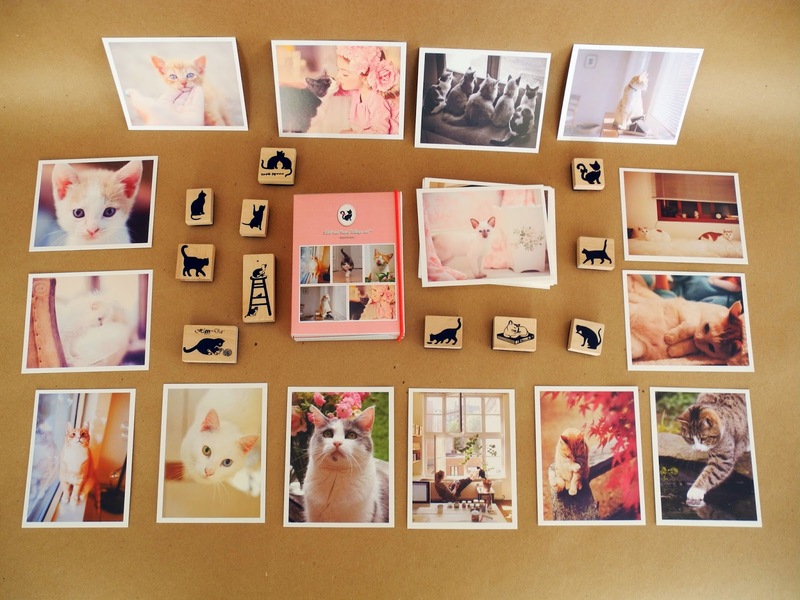 I just couldn't resist this giant postcard pack and cat stamp set. 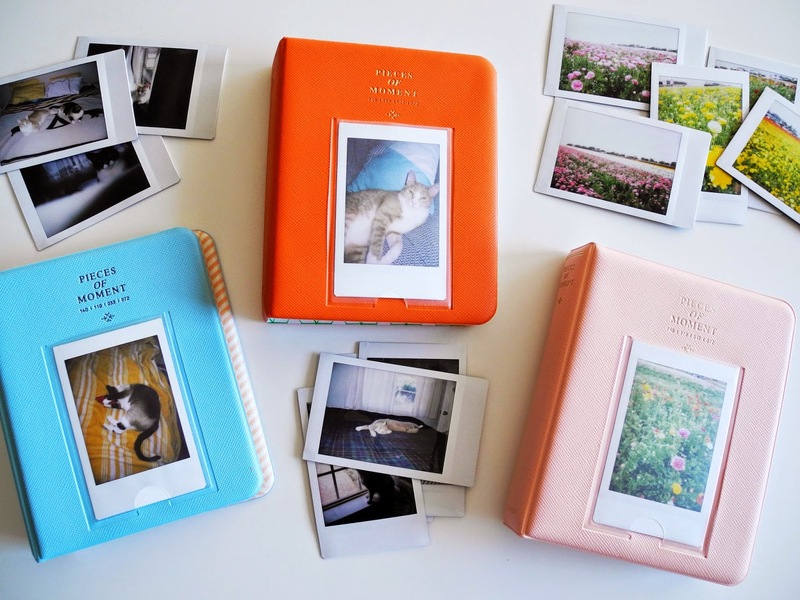 The first time we ordered these fuji instax photo albums we had no idea they would sell out so fast! We've got more in fun colors. 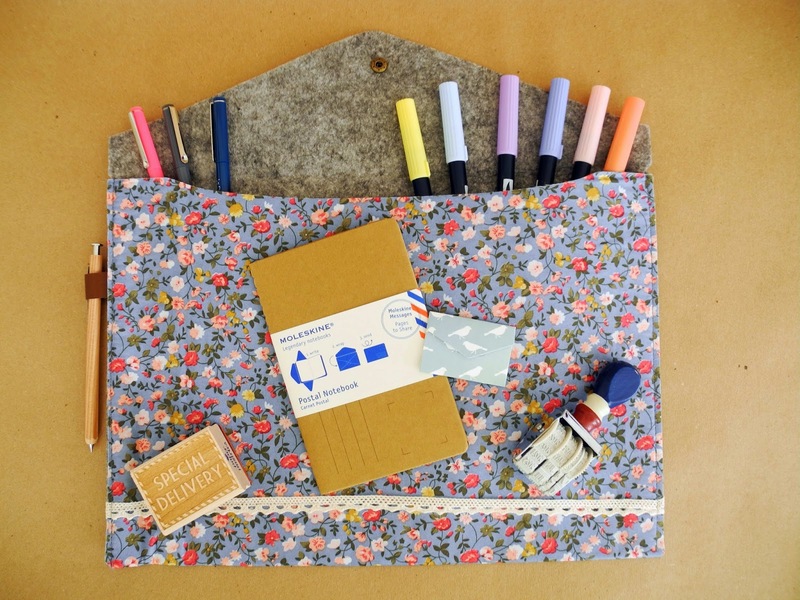 We are also obsessed with this envelope floral pouch. I've been jamming mine full of letters and supplies and taking it down to the coffee shop. Even if it does prompt the question, "People still write letters??" Yeah, the people who know what’s up still do! 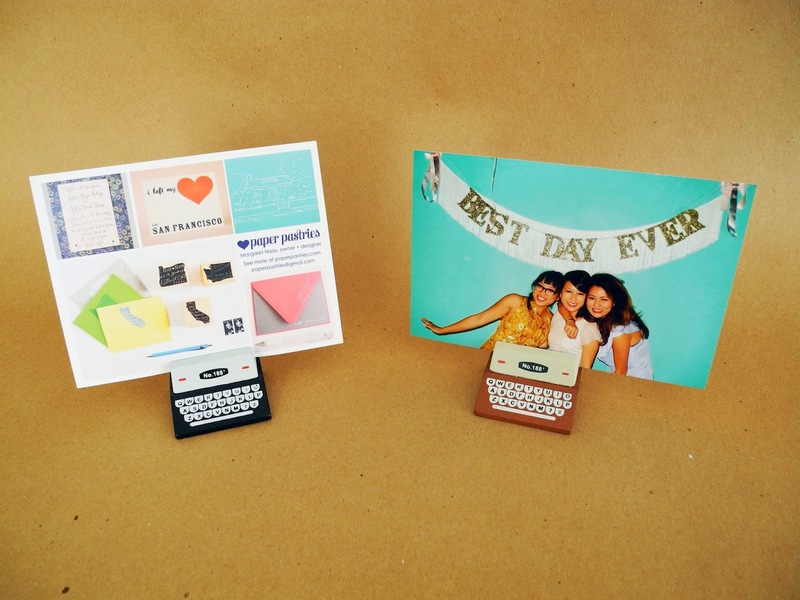 We got more of the typewriter photo stands in stock too. OMG what? I always buy these at kinokuniya and have been looking for them forever. 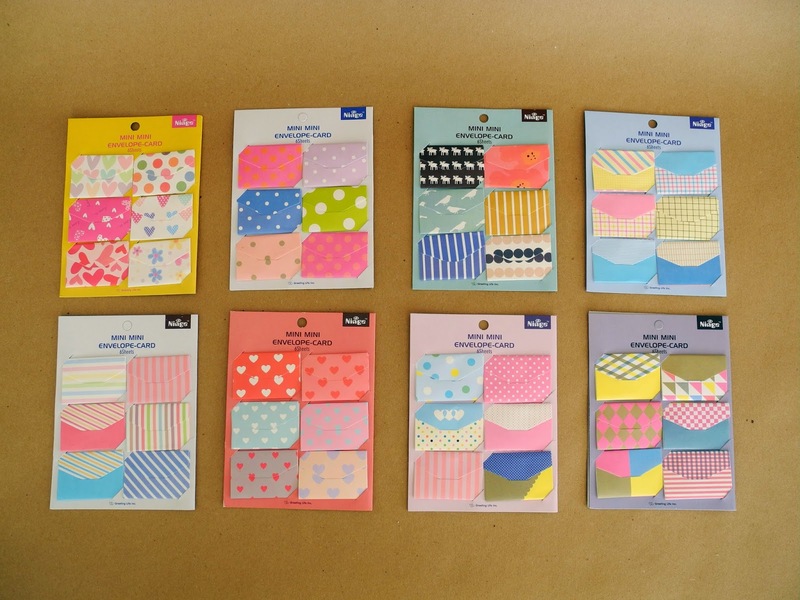 Super excited to add these mini envelope notes to the shop. I've updated the international thank you packs. 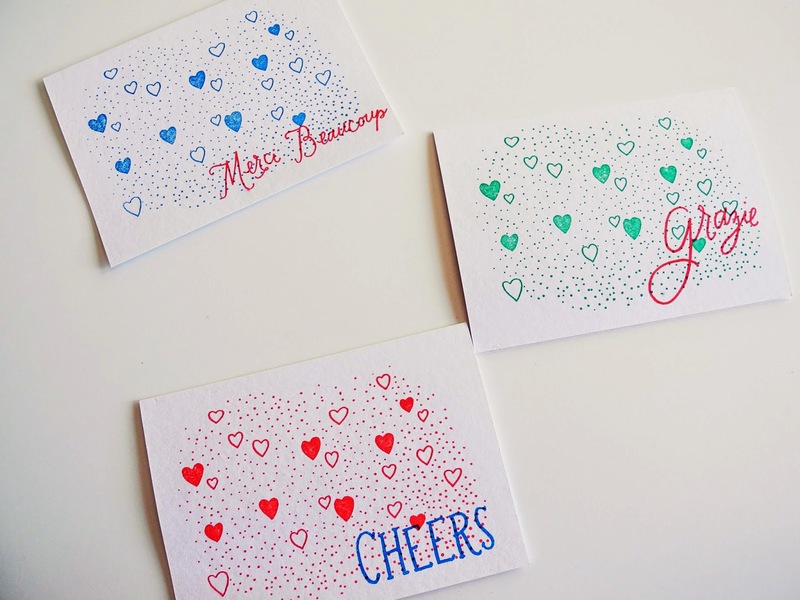 They used to be fonts but for the update, I illustrated the dots and hearts and hand lettered the text. You can find them here.